As you might know, I tweet quite a bit of interesting posts, stories or article I find on the web that can be of interest to everyone involved in Software Development, Software Testing and Leadership. The best way to keep track of my tweets is simply to follow me on Twitter. However, in case you missed some, here’s a quick and useful compilation of the best tweets I’ve sent out the past 2 weeks. Mozilla did more than just host the event; they offered up QA engineer Stephen Donner and QA intern Raymond Etornam to share how Mozilla benefits from using Selenium Grid and Hudson to test their web applications using continuous integration. A great Q&A ensued, with Stephen explaining how and why Mozilla has come to adopt this more structured system over time. This was followed by a superb presentation from Wade Catron, QA Automation Engineer at LinkedIn. He showed how the page object pattern, which LinkedIn implemented six months ago, has helped to create cleaner, more readable test scripts for the QA team, and he also shared some cool tricks! Why don’t agile development methods when applied to BI always yield success? It comes down to understanding that agile is really about behaviors, attitudes, and values. My analysis of the FIFA site shows that – once the World Cup starts next week and the site gets really hit by millions of users around the globe – there is a big chance the site will run into performance and scalability issues due to several best practices that my analysis shows the site does not follow. This failure causes load times of the initial page take more than 8 secondsdownloads of more than 200 elements. These problems can easily be fixed by following the recommendations I highlight in this blog. At the CM Summit today, Mary Meeker from Morgan Stanley did another one of her trademark quickfire, but densely packed, presentations on Internet Trends. There were several new themes in her June update, including that there has been an “unusually high level of innovation” recently from big Web companies. She mentioned Apple, Google, Facebook and others. 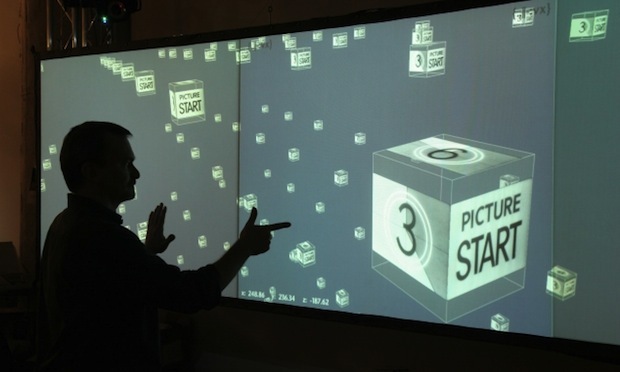 It’s a cliche to say that Minority Report-style interfaces are just around the corner. But not when John Underkoffler is involved. As tech advisor on the film, he was the guy whose work actually inspired the interfaces that Tom Cruise used. The real-life system he’s been developing, called g-speak, is unbelievable.